Singers are recorded very close to the mic. Like they are standing in your living room. 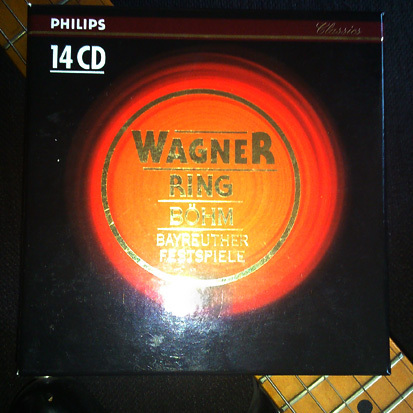 The best conducted Ring. It breaths, the most important thing in music. 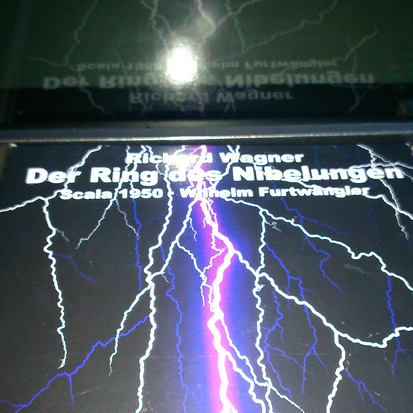 Whether you listening to a Bruckner symphony or a Slayer song. Donner und Wetter! 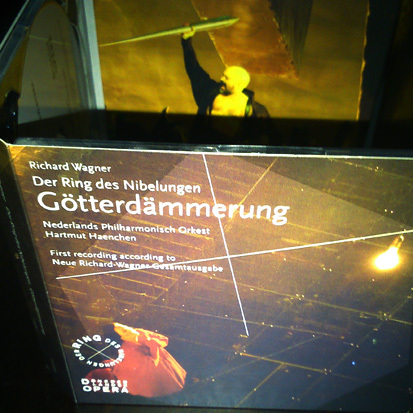 Kirsten Flagstad is Brünnhilde in this live Ring from Italy. 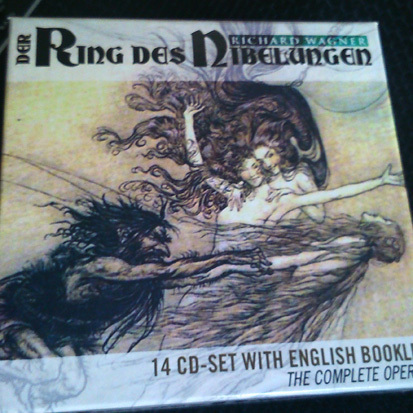 The Golden Ring according to many but It was never my favorite. 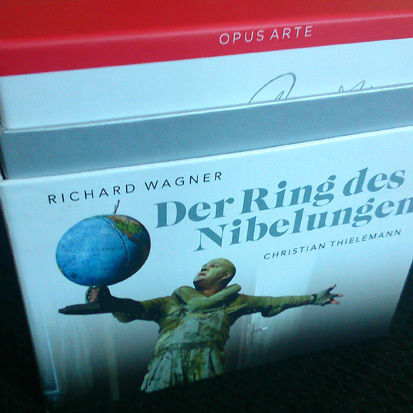 Conducting is too nervous and Solti, unintendedly, shows that true drama never can exist without beauty. Best staging available on DVD. 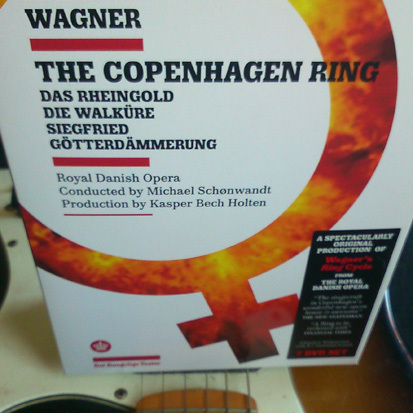 The first act of Walküre is the best thing in opera on film that I’ve ever seen. 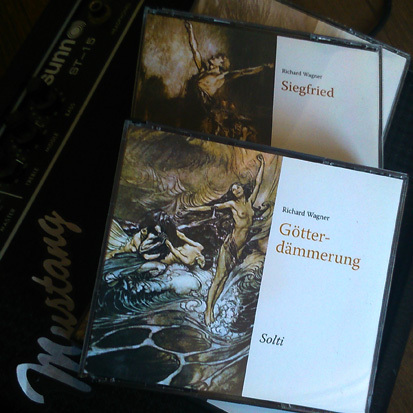 Singing, however, is sometimes dangerously uneven (Wotan and Brünnhilde!). 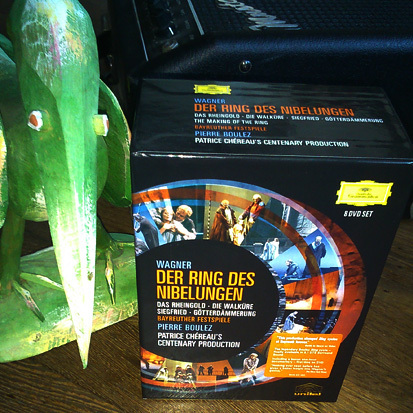 A Ring with a smaller orchestra than Wagner prescripted. 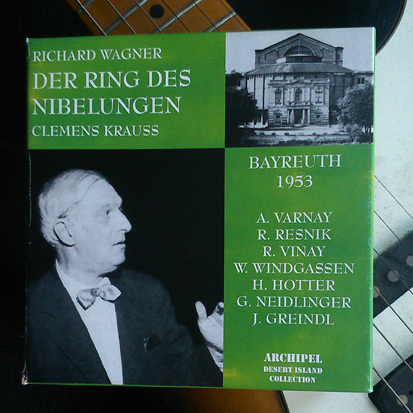 A chamber music Ring. 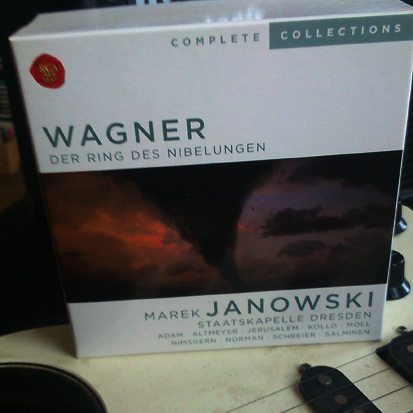 I haven’t heard Janowksi's new recording of the Ring yet but this one is my favorite studio Ring. Beautiful with one big BUT. Eva Marton destroys the part of Brünnhilde. 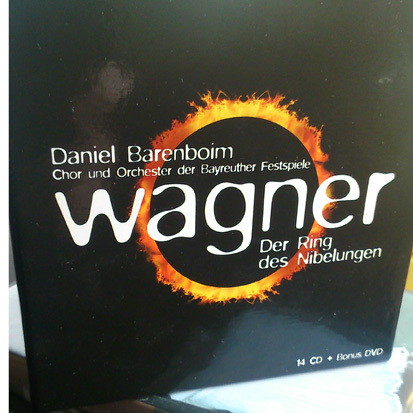 As often I’m having problems with Barenboim’s choice of tempi. But I like the dark stage that gets to you while the drama unfolds. Singers are running around like crazy. Modern staging with the most creepy and menacing Hagen ever who is also the worst singing Hagen ever. Teutonic forces are assembling in this Ring that sounds very impressive. 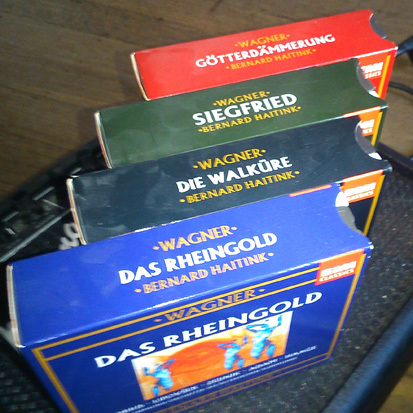 But I don’t like my Wagner slow so by the time I get to Siegfried and Götterdämmerung it becomes a drag. Swift tempi and music full of color presented in high transparency. An almost chamber music approach. Perhaps this is as close as you can get to a historic informed performance. 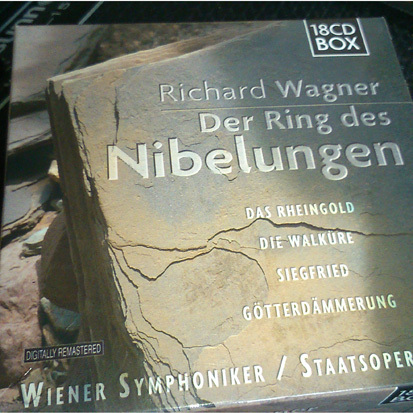 Van Zweden doesn’t ride the fast lane but in a good Ring it isn't of any importance how long it takes to make it to the end of Götterdämmerung. In a good performance that end will always come too soon. And a good performance this is.